Looking for a brand new WordPress website? GOOD NEWS! YOU HAVE COME TO THE RIGHT PLACE! I specialise in creating WordPress Websites for Creative Business Owners. 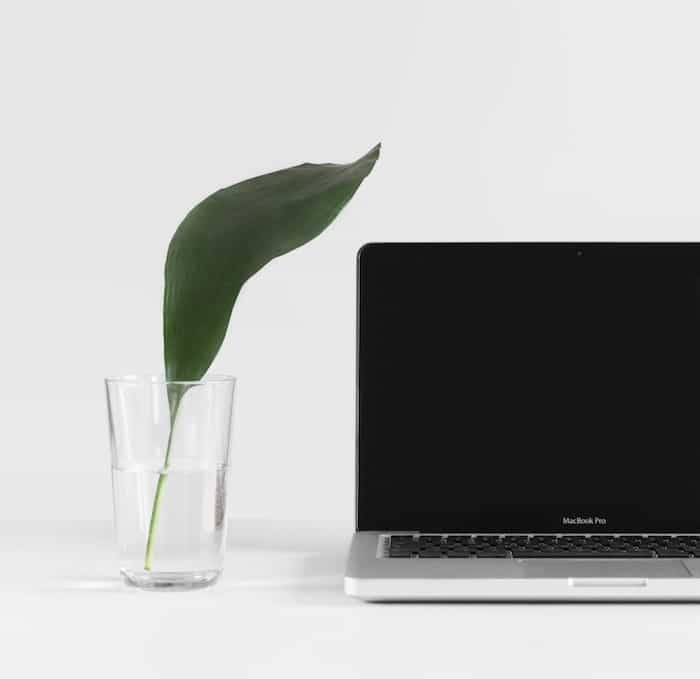 Whether you are looking for a full e-commerce storefront with all the bells and whistles or a place where you can show off your business services in a way that feels super-aligned to your values as a business owner, I’ve got you covered. Use the form at the bottom of this page to let me know a little more about your business and I will send a questionnaire over to you to get more details. Then we can decide whether we would be a good fit working together on your new website. I'm Gemma - Welcome to my wonderful leafy corner of the web! I have been working in graphic design and building WordPress websites since 2013 - I am totally self-taught (thanks to my Sagittarius determination to learn and figure this crazy stuff out) and I love helping creative business owners make their products and services shine. 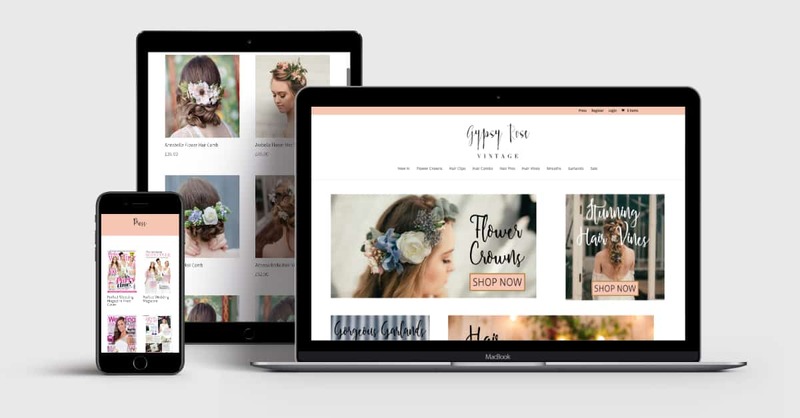 Divi is my preferred theme as it is so versatile and allows you to do pretty much anything with your website and to make your site stand out from the rest, that is exactly what we need. If you want to discuss using the Divi theme in more detail before looking at working together, please, drop me a message and we can talk about whether Divi will work for your website. Ready to build something magical together? 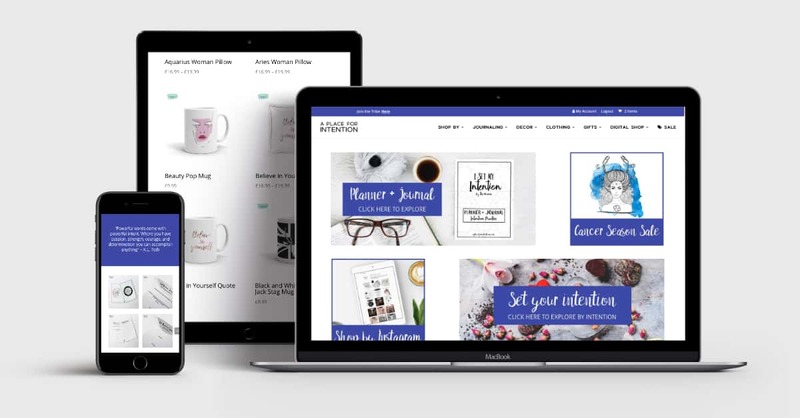 I offer a range of website design packages that I have crafted to suit every need from super simple to showcasing spellbinding services or products for sale. Check them out below, and if you have any queries or are looking for something different, please let me know using the form at the bottom of this page and we can discuss to make sure we create the right type of website for your needs. A simple site that showcases what your business does. This type of site is ideal for local businesses such as coffee shops, builders or restaurants who need an online window to show off their services. A service based business website that includes 7 pages designed and up to 3 sales pages included in the design so that you can get started with marketing your services straight away. Let’s create a beautiful place for you to show off your wonderful words. The design will include 5 pages showing off what you and your blog are all about. We will make your main blog archive look super organised with an awesome way to display your blog posts so that people want to continue reading. Let’s create an Epic Ecommerce website so that you can show off your wares and also make your business look super professional with a stunningly smooth interface, order process and payment system. The design will include 5 pages plus a main shop page as well as product setup for up to 50 products. 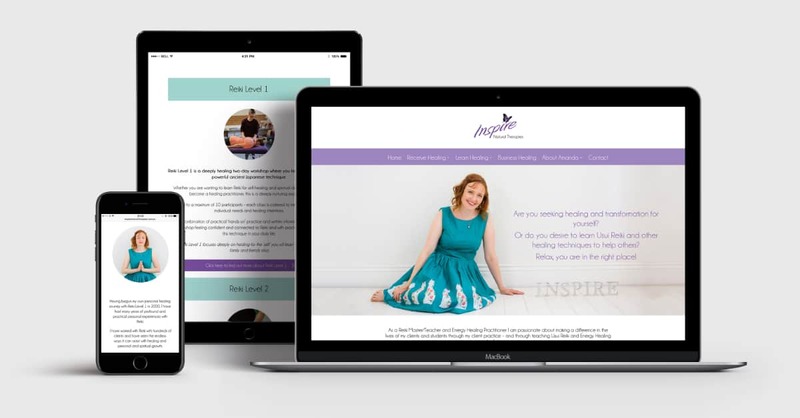 A full online course website for individual courses or integrate workshops into a full-blown service based website with sales pages and workshops – A little like mine. This is a very bespoke type of build so please contact me with your requirements and we can discuss. Price Varies depending on your requirements. What website features are included? Installation of Premium Divi theme. Basic SEO titles and keywords for each page. * for Epic Ecom, Spellbinding Services and Workshop Wizardry Packages. We can also adapt packages to suit you so please let me know if you are looking for something specific. Can these packages be adapted? Yes, we can adapt packages to suit your requirements. If there is anything additonal that you need including in your new website or if there is something in a package that you might not need, please let me know the details when you fill out the enquiry form below. What apps have you worked with? I have worked with many apps during my years building websites and also through building my own business. You can explore my list by clicking here. I do love learning though so if there is something that isn’t in my list just let me know and I will see if it is something I can dive into. Where can I find your portfolio? You can find the projects that I have worked on right here. I’m always adding to it so keep checking back. Use the form below to get in touch with me about your website design project and I will get back to you to discuss your project in more detail and scheduling you in.